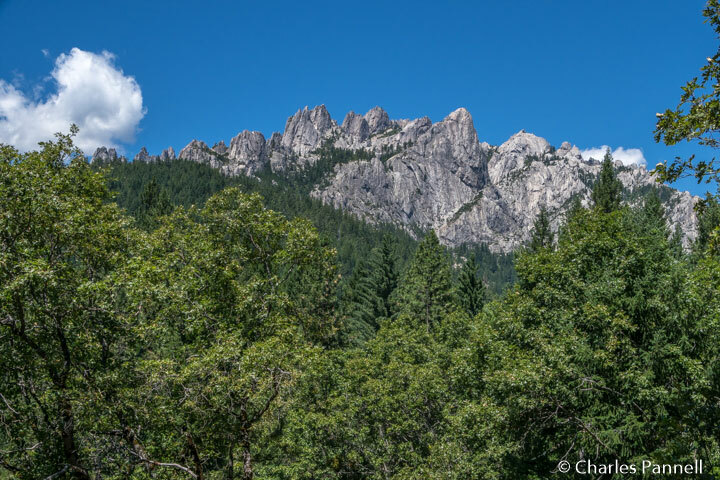 With a name like Castle Crags, I really didn’t expect much in the way of accessibility; however upon closer investigation I discovered two barrier-free trails in this Northern California State Park. As an added bonus, it’s a bit off the well-traveled tourist track and relatively devoid of the crowds that plague many of California’s natural attractions. Castle Crags State Park (www.parks.ca.gov/?page_id=454) is located at the far north end of the Sacramento Valley, off of Interstate 5, about a half-hour north of Shasta Lake. 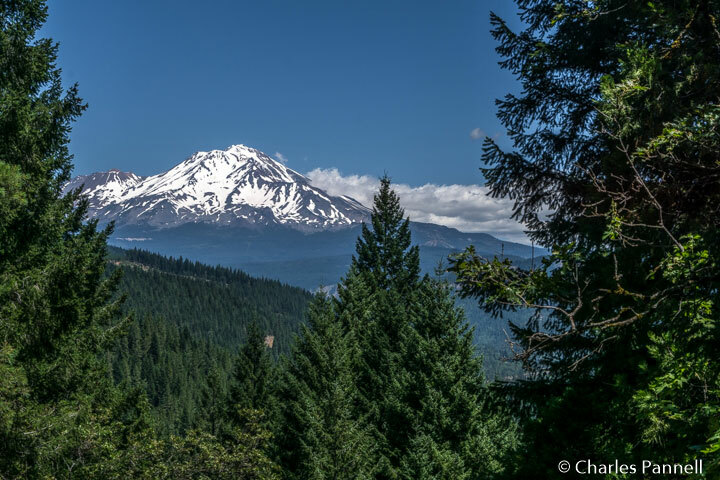 It’s aptly named as the 6,000-foot granite spires resemble a castle of sorts; and park visitors can also catch some spectacular views of Mount Shasta and Grays Rocks. It’s just a short dive from the entrance station to one of the best vantage points in the park — Vista Point. That said, the last part of the drive is uphill on a one-lane road with several switchbacks, so proceed with caution. At the top there’s accessible parking near an accessible pit toilet, with level access to a nearby accessible picnic table in a level dirt area. The Vista Point Trail begins at the opposite end of the parking lot. 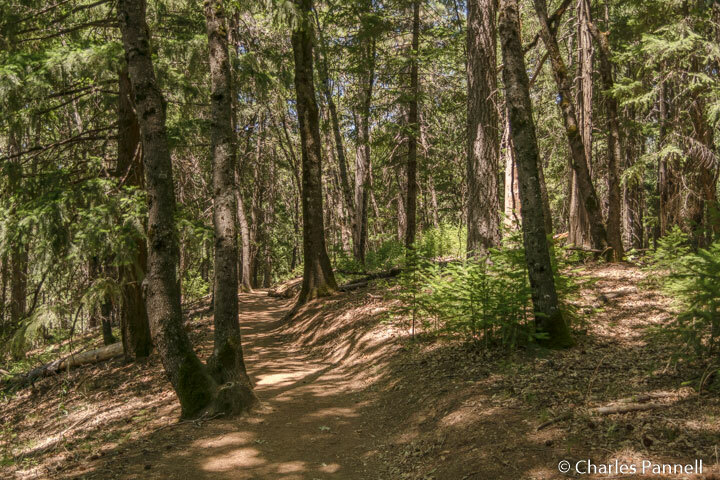 This quarter-mile hard-packed dirt trail winds through a pine, oak and cedar forest and up to a viewpoint. It’s 36-inches wide at the narrowest point, and although it has a gradual uphill grade, it’s still accessible. Up on top you’ll be rewarded with a wonderful view of Mt. Shasta on one side, and a panoramic view of Grays Rock on the other. 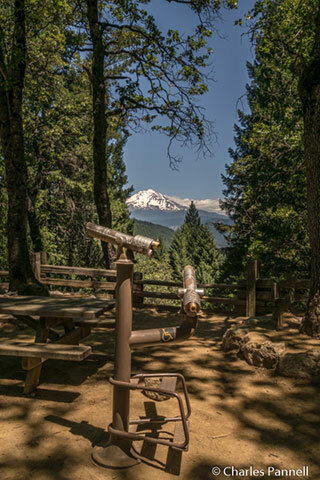 There’s also a wheelchair-height viewing scope for a better view of the formations, and several picnic tables (including an accessible one) on a level dirt area. It’s the perfect lunch spot — it’s a lot more secluded than the one in the parking area, plus you just can’t beat the view. 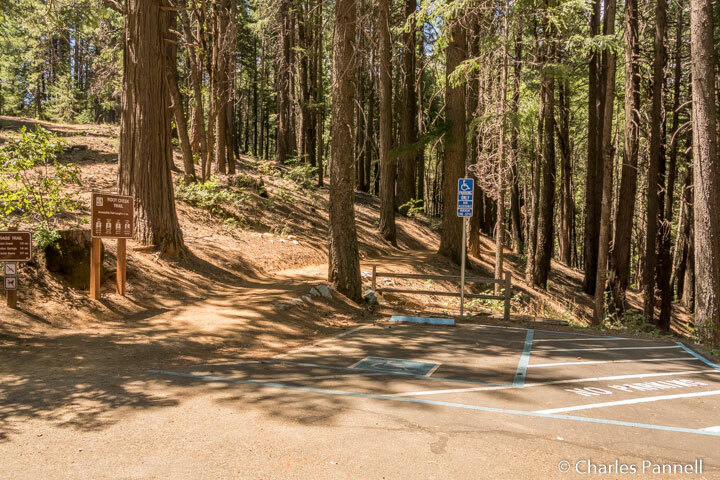 The longer Root Creek Trail is located across the road from the pit toilet; and although it’s just a short walk, it’s down a steep grade, so it’s best to drive over and park in the accessible parking place next to the trailhead. 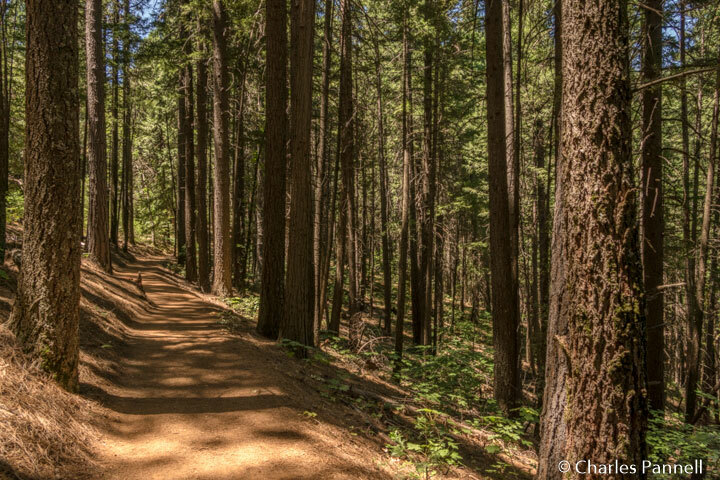 This hard-packed dirt trail has a gentle uphill grade and crosses several bridges as well as the Pacific Crest Trail, as it winds through the shaded forest dotted with ferns and — in late spring — a variety of wild orchids. At about the 2/3-mile point on the trail, there’s a six-foot patch of cobbles for drainage. It’s a bit bumpy, but short and doable, and really the only obstruction along the trail. A sign marks the end of the accessible trail at the one-mile mark, and the trail continues on another .07 mile before it ends at the creek. There isn’t any elevation gain along this short stretch of the trail, but there are a few bumps and roots. The last part of the trail, although technically not accessible, may still be doable for many people, as the obstacles are easy to dodge, so give it a try. You can always turn back if it proves to be too difficult. 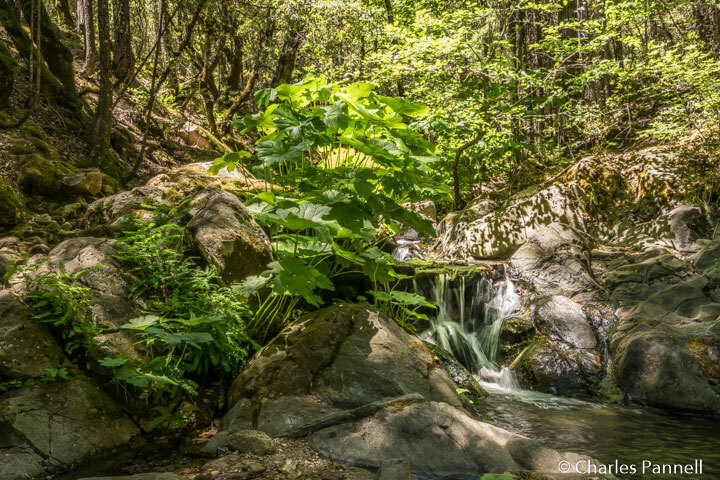 The trail ends in a very pleasant shaded spot along the creek, that’s surrounded by ferns and other foliage, and boasts a small waterfall. It’s a nice place to sit back and enjoy Mother Nature, and the perfect place to be on a hot summer day. So try to make it to the end of the trail if at all possible — it’s definitely worth the trek.